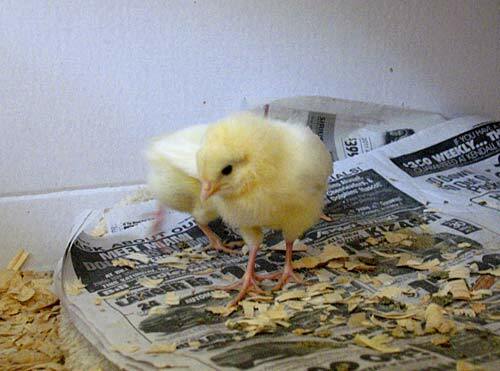 These little birds were hatched on Nov. 10th, and are 9 days old in these pictures. At this stage they are little balls of fluff. 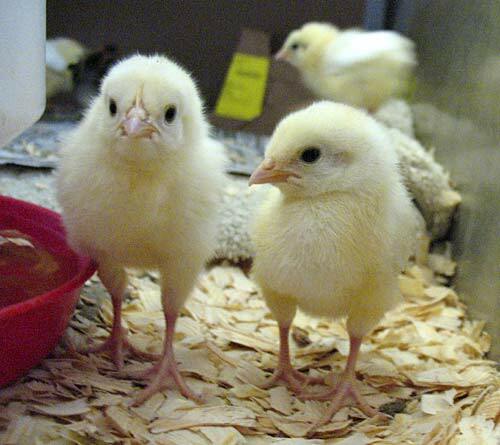 The yellow ones will grow up to be Leghorn hens (hopefully), and there are a couple brown ones in the mix too. One is a Rhode Island Red, and the other is a mystery breed selected by the hatchery. 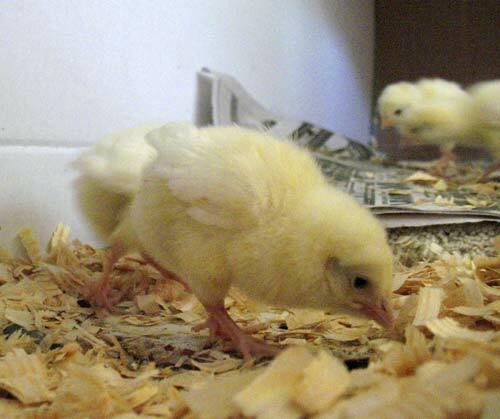 At 9 days, chicks are already pecking and scratching. They live in a modified half chicken tractor set in the carport of the farmhouse. Their bedding is wood chips, newspaper and old carpet. They get fresh feed and water every day. At night, Farmer Margie tucks them into a cardboard box, where they keep each other warm through the night. She brings the box with chicks inside the house at night, to keep them from getting chilled from the cold. What you don’t hear in these pictures is the constant peeping as they talk to each other. Wonder what a baby chick has to say to the others? And so much peeping, too!